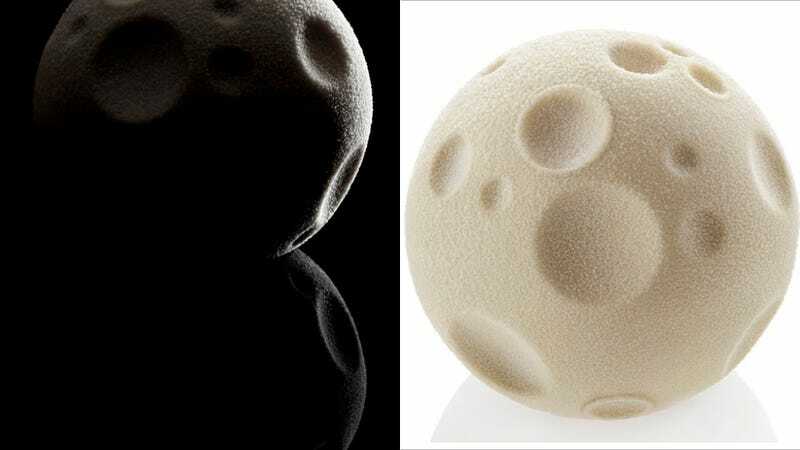 This, friends, is an ice-cream-cake moon, with real craters, created by British design agency Doshi Levien, in association with Häagen-Dazs. Did you hear me? HÄAGEN-DAZS ICE CREAM CAKE MOON. Fly me to the moon and let me nom among the stars! Yum. One small step for nom, one giant leap for nomkind.